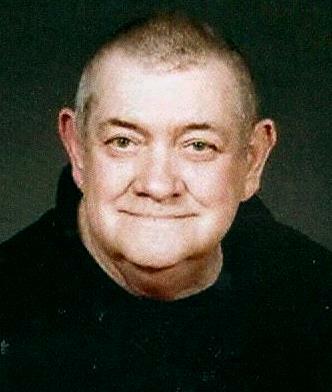 Roland E. Morton, 75, Detroit Lakes passed away peacefully Wednesday, January 30 with his loving family by his side after a courageous battle with cancer at Sanford Hospital in Fargo. Memorial Services for Roland will be held Tuesday, February 5 at 11 AM at St. Peter’s Lutheran Church, Audubon. Visitation will be held one hour prior to service. Roland Eugene Morton was born January 25, 1944 in Detroit Lakes, MN to Walter and Florence (Grunwald) Morton. He grew up on the family farm and went to country school near Audubon, MN. He graduated from Audubon High School in 1962. Following school, Roland proudly served his country in the Army National Guard. In 1972, Roland was united in marriage to Beverly Olson at Rollag Lutheran Church. In 1975, they welcomed their son Jason to the family. During Roland’s working career he was employed by Becker County Highway Department for several years. He also owned and operated Lakes Center Bar and Mort’s Septic. Roland was a kind hearted, gentle natured person who loved animals, nature, political talk and watching sports. One of Roland’s favorite trips was a cruise he and Bev took to Alaska where he was able to enjoy the magnificent views of glaciers and wildlife. His quick wit, good sense of humor and amazing memory made conversations with Roland enjoyable. Even when he was sick, he was extremely kind and thankful for all of those who took care of him, especially his wife, son, daughter-in-law and the staff at Sanford. Roland will be lovingly remembered by his wife Bev of Detroit Lakes, one son: Jason (Jennifer) of Detroit Lakes along with three grandchildren, Natasha Morton, Christopher and Emily Killmer, three sisters and a brother: Delores Johnson, Helen Miller, Norma (Allan) Worm, and Larry Morton. He was preceded in death by his parents, two brothers: Bernard and Willard and two brothers-in-law: Warren Johnson and Joseph Miller.